Ever have one of those projects that is N.E.V.E.R.E.N.D.I.N.G…?? 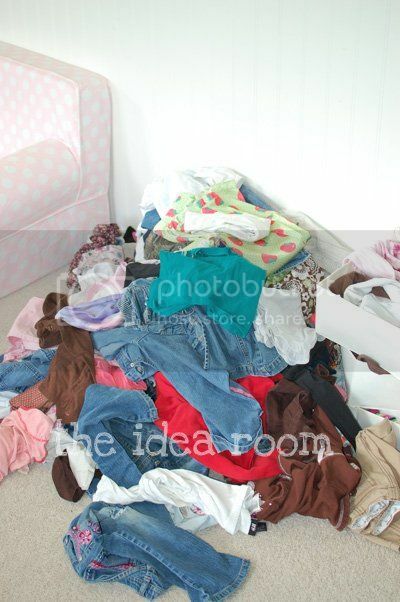 My daughter’s room has been one of those this summer. But I am happy to say that I am almost there!! I painted it back in April and here we are in September! I painted it a color that is not normally something I would have chosen. 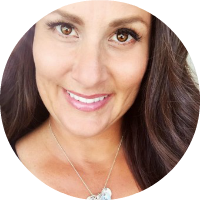 But this daughter’s personality is very different than mine and I wanted something she would enjoy and that would reflect her fun personality. 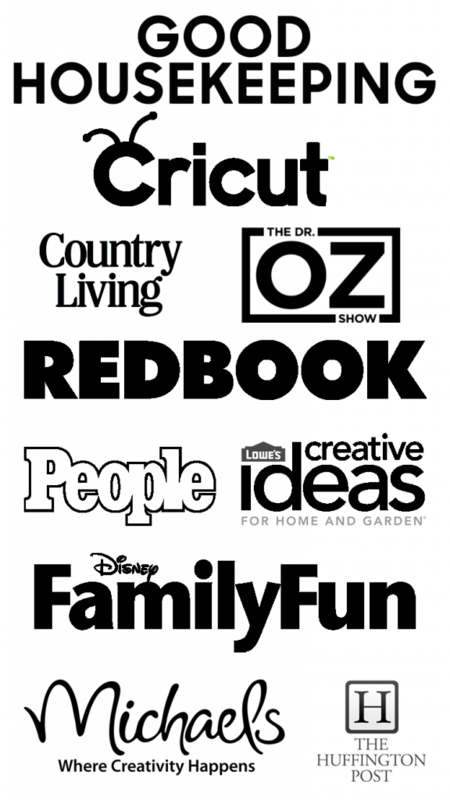 The paint color is Sunwashed Blue from Ralph Lauren in their Island Brights collection. I actually did not use Ralph Lauren paint though. I had Home Depot color match it and went with Behr paint (which I really like). 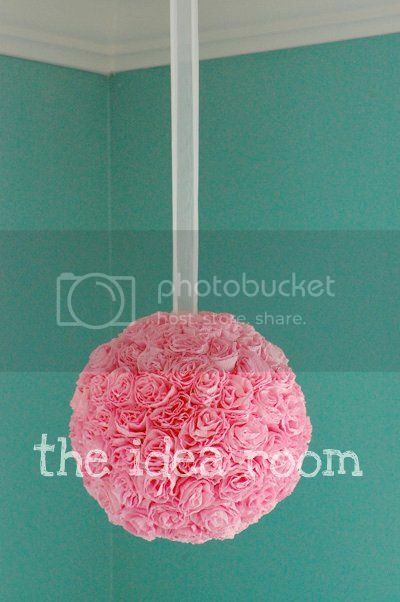 Anyway, I was browsing my favorite websites for some ideas for decorating my daughter’s room when I came across these hanging flower balls at House Of Smiths (which by the way is one of my FAVORITE blogs…she is hilarious and I LOVE her decorating style). I knew right away these would be perfect for her room. They were super easy and inexpensive to make but fairly time consuming! We followed Shelley’s tutorial. My girls loved helping me and we worked on them during our Friday Family Movie Nights together. Shelley from House of Smiths found the original idea for making crepe paper roses at Homespun With Heart. When we finished the first one we immediately hung it up and loved it. This gave us some renewed motivation to finish the others. But when we went to hang them up, we couldn’t find the ribbon we had used. We searched the house high and low with no luck…grrr! I wonder if it could be under this mess? This mess is on the other half of my daughter’s room. By the way, these were placed in nice piles on the floor. They stayed that way for maybe 1 hour. Then apparently my daughter couldn’t find her favorite shirt to wear after school. Ugghh! See, I thought it would be a good idea to paint her dresser pink…WRONG! It was horrendous! LOL! So I recently took the dresser apart…again…and repainted it white. Ahhhh! That’s better. I guess I am just destined to be plain and boring when it comes to decorating. Some of you have a knack for decorating with fun colored furniture…I do not! But all in all, it is coming together nicely! Just a few more things to do and I will share the full reveal with you when we finally finish it! so cute! love the blue walls, the hanging flowers are my fav. I'm the same way, more simple and plain. I'm too much of a wimp to venture out and be daring! I love those hanging flower balls.. they are so pretty at parties too!!! I love the wall color! 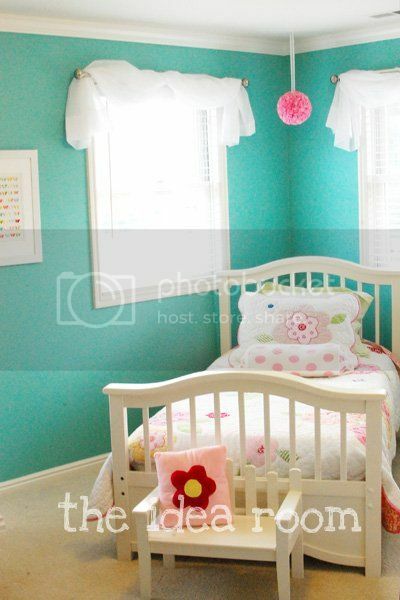 I'm redoing my daughter's room right now also and plan on making a crepe paper flower wreath. 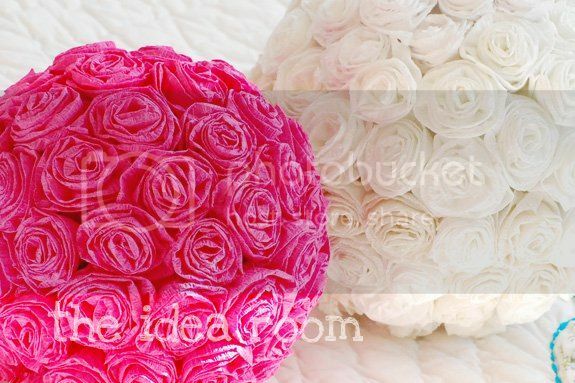 I love those crepe paper flowers…so pretty! I love it! Simple and perfect. Please tell me where you got her bed? I've been searching everywhere for my 2 girls. Thanks! I LOOOVE the way that everything looks in your daughters room! It looks awesome! The flower balls are SO cute! Oh I'm loving it! My daughter's room has been a never-ending project too and we had to paint the walls twice because the first color wasn't quite what I had in mind. We really should get together next time I'm down….I can fill u in on the juicy gossip…wait did I just say that? I promise no gossip at all. I LOVE that paint color! And those balls are gorgeous! I can't believe they are made out of crepe paper!! Oh my gosh! Those are gorgeous! I love, love, love that idea! I want one of those in my room! Wonder if the hubby will like it? Just these past few days I have been working on decorating my 8 year old son's room. I need ideas. 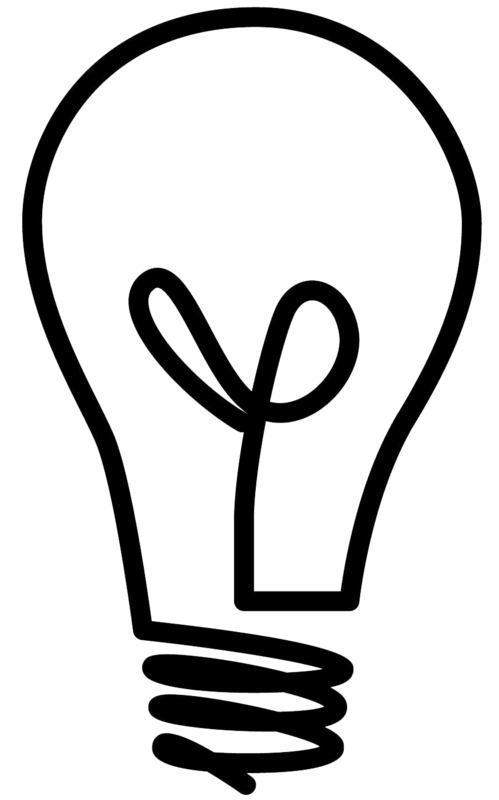 I have already come up with some great ideas, but I need more. I will check the blog you mentioned in your post…hopefully there are some "boy" ideas there. If you know of any, let me know. Also, I will check around on your blog. Did you post anything in the past for boys rooms? I really think the white is perfect against that beautiful blue. You made the right choice. Very sweet room by the way. So wonderful that the girls are involved. I'm just getting started on my daughters' room. I am really at a loss of what I want to do. Looking at your blog is helping with inspiration. I'm not a colored furniture person either. 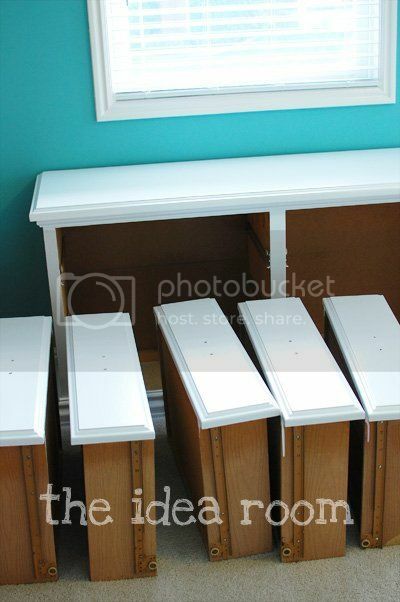 BTW–when I saw that white dresser, I thought some stencils or vinyl designs would look super cute on the drawers. I love the ideas you have here! I think I'm going to use the flower balls to make a topiary (or 2) for the ledge in my entry way. Thanks for the great ideas! The blue is fantastic… nice job! Anyway, thanks so much for your email. I really appreciate it! Just a though about the dresser…if you want to bring some pink into the room with the furniture, leave the dresser white and just paint the raised portion of the drawers pink. I did this with my daughter’s baby dresser with the yellow that was on her walls and it turned out perfectly. I would probably go with a pink several shades lighter than the rose ball though.